If your student ordered concert wear, you should have received an individual email from Sandy Miller. Payment amounts for the concert attire will be indicated in the email. Remember, the Winter Spectacular is on December 8th… There’s no time to waste! If you have any questions, please contact Sandy Miller. Imagination and focus. I find myself contemplating these two states as a wonderful, restful week comes to an end. In the next two weeks we are busy! We perform for the elementary schools this Friday, December 1st. On Friday, December 8th, we play the Winter Spectacular at 7pm in the LCHS auditorium. I imagine the fun and excitement of all the students at this special time of year. I imagine the music and all of the concert details. I like to focus on these thoughts and all of the students in order to bring out the best performances possible. We could use one or two more parent chaperones for this Friday’s Elementary Tour. Please come if you have the time, and watch the Orchestra in action! Ahhhh… I have fully enjoyed a week off! Spent lots of time with family and friends and getting reacquainted with the back side of my eyelids! I’m looking forward to the next four weeks of school before another much-needed break. Lots of music, a parade, concerts and a chance for all of us to get in the right frame of mind for the holidays. With the holiday shopping season now in full swing, it’s time to order your gift cards! The deadline is Friday, December 1st. Finish your shopping quickly and easily, and your purchases benefit the MPA and your student’s account! Scrip is running a special program in which gift cards of small denominations ($5-$10) –think stocking stuffers– are available! Among the vendors are Subway, Target, Walmart, and Panera! Please click here for more information. Dinner will be served to all 7/8 students and ALF music students prior to their combined concert on Wednesday, December 6th. Please contact Nadia Ali if you are available to help set-up, serve, and clean-up that evening. Orchestra: Click to sign up to help or bring food items. All items should be brought to the tables in front of the auditorium prior to the concert. 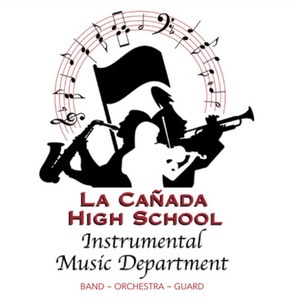 Each student in the Instrumental Music Program, grades 7 – 12, has a student account. Funds in these accounts can be used to fund activities, transportation costs, registration costs… Basically anything you need to pay for through the MPA — Including the Ireland Trip. To check your student’s balance, please email our MPA Treasurer, Cliff Guan. Fundraising: 2017 Poinsettia Sale – Orders Due Friday! This is a great fundraiser to put money into your student’s account. The Instrumental Music Program has sold these beautiful plants for the past several years and many in the community purchase every year! Plants sell for $12. (Students get $4 per plant and the MPA gets $2.78). 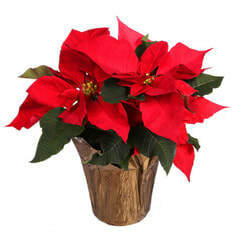 These are farm-fresh poinsettias from Oxnard’s Milgro Farms, in in 6 ½” foil-wrapped pots. All proceeds benefit the Instrumental Music Program. See the Order Form for more details. If you have questions, please contact Sarah Nagel. The group photos are available for preview and ordering online. Please click on the link and take a look. From there, you’ll be able to view and order group photos.